Defining the word “cool” and how it applies to your music brand marketing. 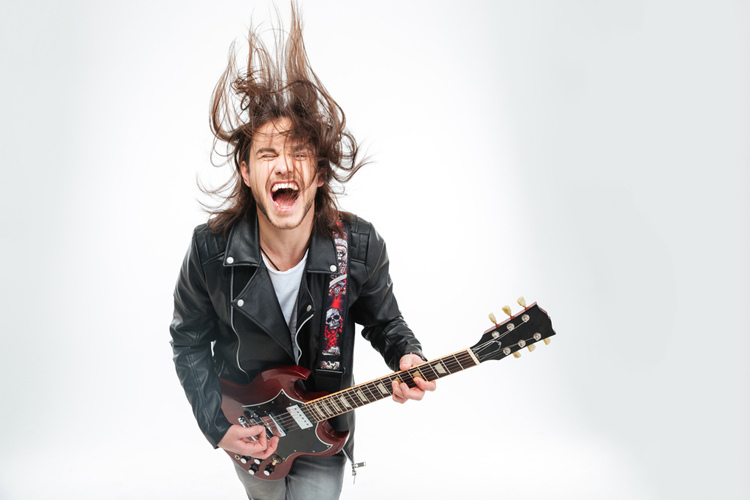 When someone says to you, “That’s a cool electric guitar,” or “That ad campaign looks really cool,” or tells you to check out a “cool website,” what exactly does that mean? “Cool” is one of those words tossed around a lot in marketing without any real understanding of its many definitions. When was the last time you pondered the meaning of cool? And how does it apply to your music brand and marketing communications? Of course, the big question here is, what is cool? The definition has changed over the past seven decades or so. It was first used by jazz musicians in NYC in the late ’40s and early ’50s to describe a cutting-edge player who flipped a middle finger in the face of convention. If you were breaking new musical ground with an indifferent attitude to what anyone thought of you or your music, you were cool. It combined an adventurous spirit, rebellious attitude and not giving a (insert favorite four-letter word here). Those original cool guys (Miles Davis, John Coltrane, Charlie Parker, Thelonious Monk and many more) lived by their own rules, upended jazz and sent it spinning in exciting new directions. You can’t work too hard at being cool. This is rule #1. It’s sort of like someone trying to get out of quicksand—the harder you struggle, the faster you sink. The harder you try being cool, the more you aren’t. You can’t ever actually say you’re cool. You just have to be. Apple is cool. Even though it has achieved mind-boggling mainstream success, there’s a whiff of an anti-establishment attitude (versus PCs and Microsoft) that permeates its marketing. Apple breaks new design and technological ground, yet feels approachable and friendly. All definitions of cool are covered here. Stand for something. Wishy-washy isn’t cool. Changing things up too much is confusing. Figure out what your music brand is all about—that timeless, never-changing thing that defines who you are as a company. Turn it into a core message and create products, advertising and other content around it. Be consistent. Tactics can change, messages can change, stories can evolve, but everything should tie back to a central, meaningful idea. Don’t be a slave to trends. Being trendy doesn’t equate to coolness. Find a signature style. Being unique is cool. Whether it’s an unusual design for a product, the use of a color (Orange Amps comes to mind), a unique tone of voice or an ad campaign that’s unconventional—but not too far out there—different is cool. A signature style gives you swagger and confidence—think Nike and Harley-Davidson. Talk to people, not at them. This falls under the likeable aspect of cool. No one likes hard sell, being shouted at or talked to in an obnoxious, in-your-face way. Craft your communications to speak to people in a way that makes an emotional or intellectual connection. Music speaks to people through the heart. Your marketing needs to do the same thing. Cool walks a razor’s edge between approachable and indifferent and between edgy and too far out there. Understanding what cool really means will help you better judge your work and your brand.